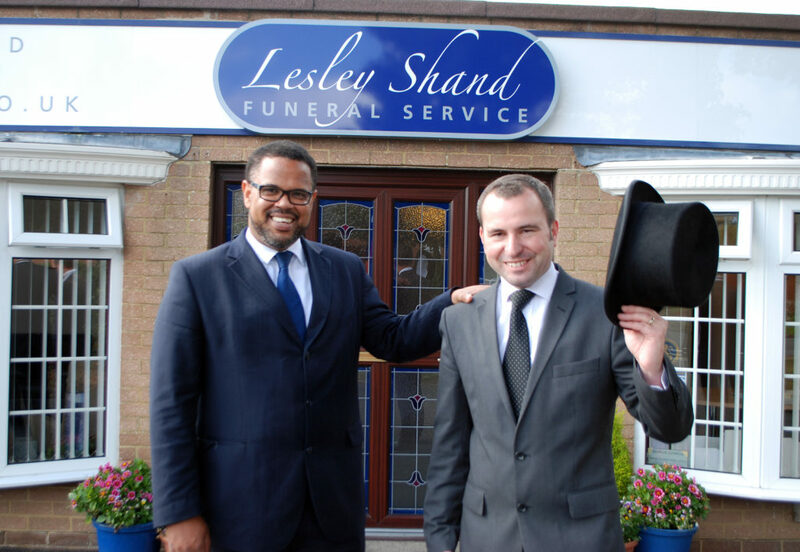 Funeral Director Shane Watson is celebrating 20 years at Lesley Shand in Corfe Mullen. The father of two joined the firm as an apprentice when he was just 17 years old and helped out with everything, from cleaning cars to preparing coffins. He went on to gain qualifications in funeral arranging, embalming and health and hygiene and now manages the firm and its sister company Ives and Shand in Parkstone. He’s overseen more than 2,000 funerals – some traditional and some much more unique but says, when it comes to unusual requests, nothing can surprise him. Shane said: “20 years have passed by in a flash but when I look back it’s incredible how much things have changed. The best change is that the industry is more professional than ever before and public expectations are higher. Among the more unusual funerals Shane has led are coffins towed on an HGV lorry, a Harley Davidson funeral procession and the coffin of a stamp collector covered in Flying Boat stamps. Lesley Shand and Ives and Shand are part of the Douch Family Funeral Directors and are among those offering the Dorset Funeral Plan; enabling people to pre-pay for their funerals in instalments to ease the financial burden on loved ones. Shane is an active member of the Bournemouth Association of Funeral Directors and Lesley Shand Funeral Services are long-term sponsors of the Corfe Mullen Carnival.